Trick-or-treating is almost here! It’s time to start creating the perfect costume for you and your kids. Maybe you’ll go as a parent-child combo, or maybe you’ll spend all your time focused on creating the best costume for your little ones! Either way, just like we’re all about safety here at Bounce N Play, we want you to be safe when you’re out trick-or-treating, too! Masks can really make a good costume great, but they’re also known to inhibit the vision of your child. Try to see if you can recreate the mask with face paint, or with an open-faced mask. That said, don’t ruin your child’s Halloween because of one mask. You can always keep a close eye on your little ones to make sure they don’t run into anything in the dark! Before you and your kids leave for the night, plan a route and show them where you’re going to go! That way you can avoid busy intersections and not spend all night out, if there’s a plan it’s easier to stick to it! Ok, this may not be a safety tip, but it’s a comfort tip! This goes for costume wearers and non-costume wearers. Cinderella may have worn glass slippers, but she didn’t’ walk half a mile up and down sidewalks. As for yourself, grab some tennis shoes you wear when you come by Bounce N Play! This night all about making sure your child has a good time, and you being comfortable is part of that! 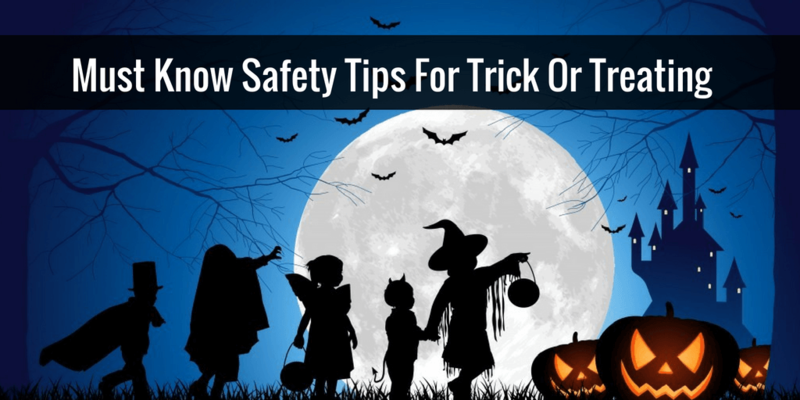 Make sure your child is comfortable before they hit the trail for trick-or-treating!